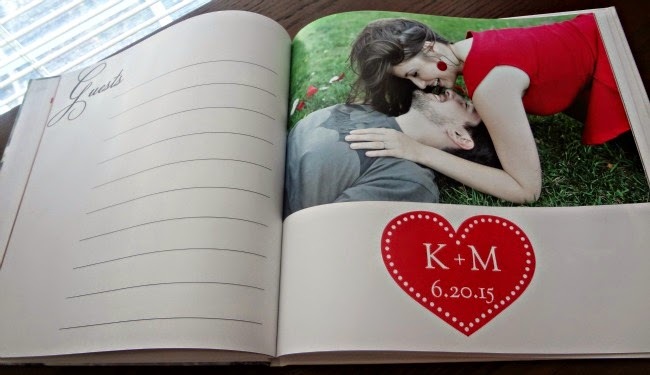 Here is what I knew I wanted for our wedding guest book: I wanted a photo book, essentially a photo album of our beautiful engagement pictures, guest book (so that for years to come we'll still actually look at it and it won't just sit somewhere gathering dust! Plus I love when things serve dual purposes, and I am obsessed with our engagement photos so any excuse to look at them, really, I'll take.) 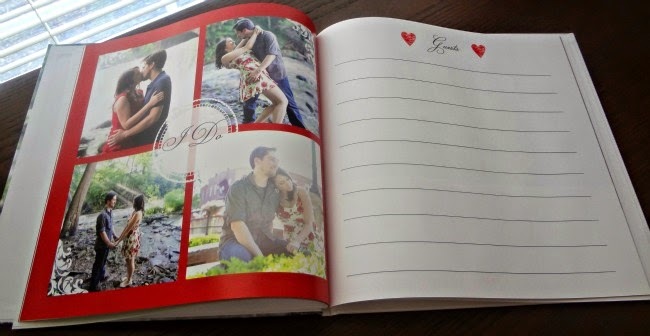 I wanted the book to be customizable and I wanted it to be inexpensive! MixBook was 100% perfect for this. When I first found Mixbook I decided to get the absolute most inexpensive option for my guest book (book on the right in the photo above)-which was the standard 8.5x8.5" soft cover (and with the 30% off offer at the time, I was able to get the entire thing-including tax and shipping-for just under $24! Pretty awesome). I would also like to note that I chose the budget shipping option and it STILL only took 5 days to get to me, and Mixbook does an awesome job of packaging so that nothing will damage the books during the shipping process. And, while the book I received was lovely and would have totally worked, it was definitely not super durable (if you touched it wrong there were fingerprints, etc. and due to it being a softcover, it was a bit flimsy) so I decided to contact the customer service department: who were UNBELIEVABLY helpful! They offered to refund me the entire price of the book I had ordered and put it back as a credit onto my account-no questions asked (and really, this was in no way their fault)! Instead I ended up having them refer me to their marketing department, who hooked me up in exchange for this review, but regardless they were extremely kind and helpful. And then I upgraded myself to the gorgeous 12x12" hardcover you see up there on the left. The quality...is outstanding. 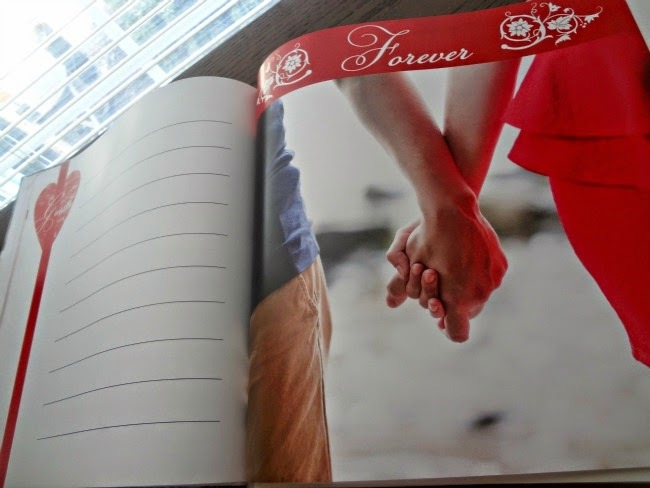 I was stunned by how beautiful my guest book was when it came to me. The hardcover was lovely and seems durable. The photos are gorgeous and perfect. I'm totally head over heels in love with how amazing it turned out. Mixbook uses archival-quality, FSC-certified papers, hand-stitched hardcovers, and incredibly detailed print reproduction: which essentially comes down to the fact that they're beautiful, the photos look how they should, and they are going to LAST. Which...ya know...for my wedding guest book...kind of important. And, if you're interested...you can view my entire wedding guest book online. Yepp...click that linky...and you're there. View away. But I'm totally getting ahead of myself. 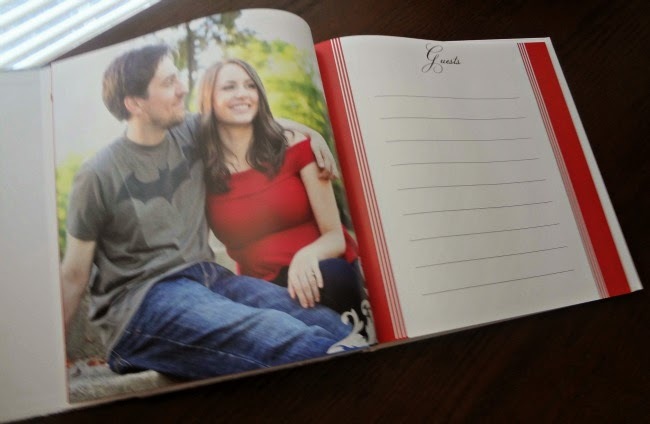 Let's rewind to how I created my guest book-and how you can create your own projects too! For your convenience, you can begin with one of Mixbook's professional designs or start entirely from scratch! 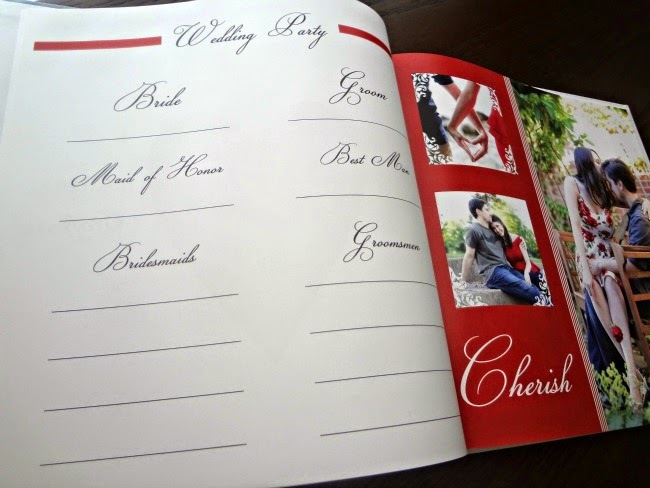 I am so not great when it comes to designing these sorts of things from scratch, so I started out by choosing from one of Mixbook's pre-designed Wedding Guest Books. I ended up going with the Vintage Florals Guest Book design, and then began the fun: customization! 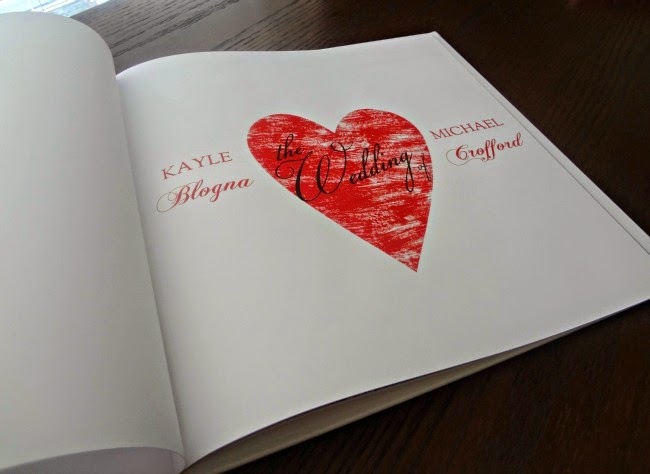 The biggest change I needed to make when customizing my guest book was the color: the template I had chosen had a blue and grey color scheme and my wedding colors are red and white. This was probably the most time consuming part BUT it was totally simple and do-able! One cool color feature that Mixbook has is their color match tool: it allows you to enter the hex code for your true wedding colors to ensure perfect continuity! Since my wedding colors are different from the template I chose, it took a smidgen bit of extra effort-just to edit every little thing that had the wrong color and go looking for stickers, backgrounds, etc. that would work for me. The effort was entirely worth it, though. 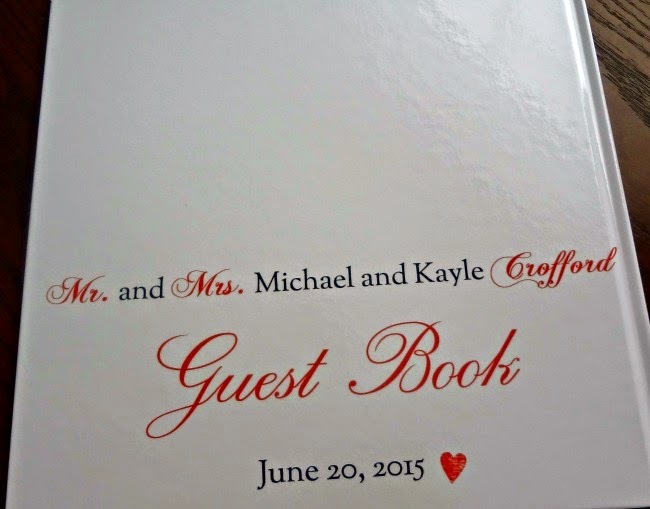 There are no words for how proud I am of this guest book: I designed it. Nobody else has something exactly like it, and it is perfectly made for Michael and I and our wedding. Oh and in case you're wondering--the 12x12" hardcover guest book (without any sort of discounts and including tax and standard shipping) came out to just under $70. 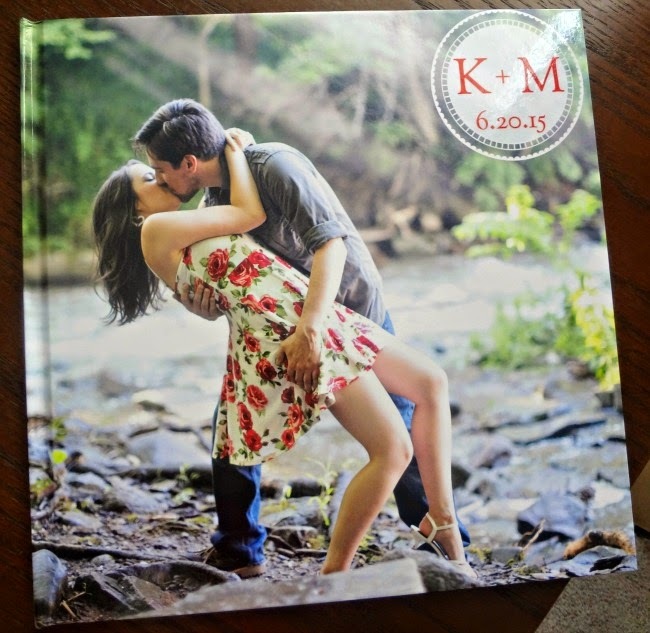 Which-for a high quality engagement photo album + fully customized wedding guest book, is a pretty awesome dealio. But chances are you would never pay full price. 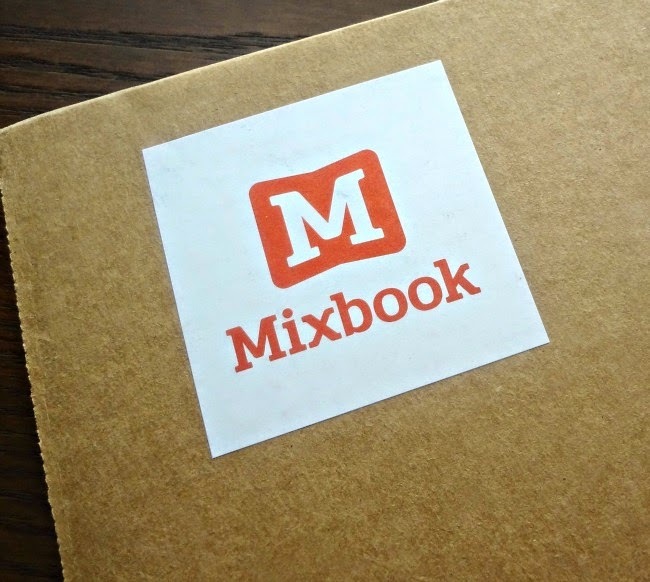 Mixbook frequently runs sales/discounts/promotions. 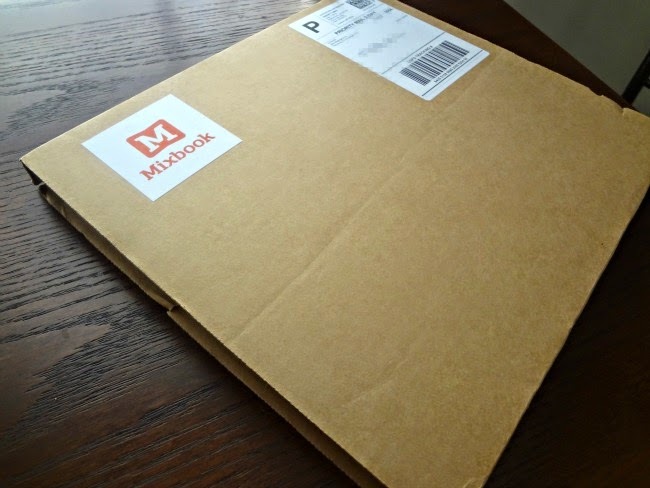 And, as luck would have it, TODAY is Mixbook's birthday!! To celebrate, until 11:59 PDT tonight, you can get up to 50% off--click here for more details! So...what are you waiting for? Discover Mixbook for yourself ASAP! Disclaimer-this post contains affiliate links. Mixbook provided me with a complimentary book for review, however I received no additional compensation and all opinions are my own.